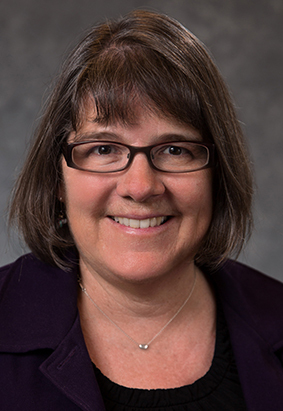 Serving as CIO and Director for Computing & Information Technology since 1997, Sue provides leadership and institutional planning for technology at Geneseo. Sue leads a department of 32 full-time staff and 60 part-time student staff responsible for campus and information technology services including: Information Systems, Educational Technology, Support Services and Systems and Voice and Data Communications. Sue is a founding member of the SUNY Council of CIOs and also serves on several CIO committees and is the CCIO liaison to FACT2. Learn more about IT at SUNY Geneseo at http://cit.geneseo.edu. Sue earned a B.S. in Management Science and a minor in Computer Science at SUNY Geneseo and an M.B.A from the State University of New York Institute of Technology. Sue has worked in higher education for 32 years and joined the IT staff at Geneseo in 1984. Sue also worked as a programmer analyst for Aetna Life & Casualty in Hartford, Connecticut and as a developer for a small firm in the Rochester area. Sue was named IT Woman of the Year by the Association for Women in Computing in 2005. She has also been a recipient of the Geneseo President’s Award for Excellence in Professional Service.